Natasha has had a global marketing for over 20 years. As well as MMC’s Managing Director, she is also Chair of the Sunderland Committee for the Chamber of Commerce. In 2000 Natasha moved to Los Angeles to promote a B2B publication on the dot-com boom. 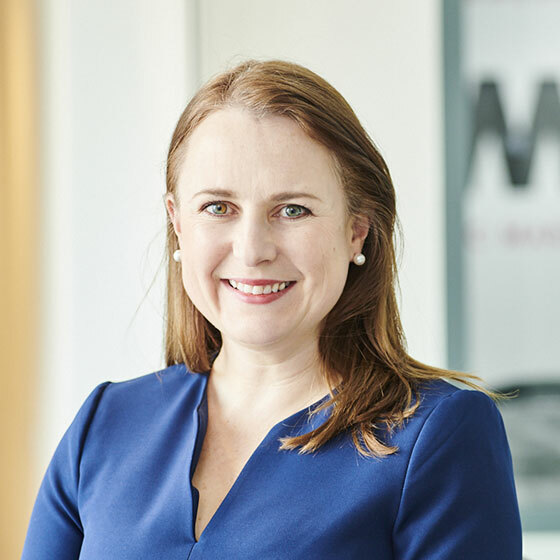 She also worked in a fast-paced Sydney marketing team on a Sony account before moving back to the UK in 2005 to run the marketing campaigns for policy events on behalf of The CBI, the NHS, British Chambers of Commerce and the Environment Agency. Natasha relocated to the North East in 2007. She is responsible for producing marketing strategies for MMC’s scale-up clients and takes the role of marketing director on behalf of MMC clients. Natasha was awarded Fellow status of the Chartered Institute of Marketing in 2017. Running MMC gives me the opportunity to do what I love and to work creatively for our clients, knowing that the skills we offer in-house make a real difference to the people we work with – and to their bottom line. Coming into the office as a business owner myself gives me a healthy respect for the position of both our suppliers and our clients. We brief well, we pay our suppliers on time, and we work hard to be known as people who are good to work for and with. Our clients tend to be positive and driven business owners who are determined to scale up and grow – and who come to us ready for their marketing to achieve more. For me, this means that our business success isn’t just about working with big brand names. It’s more than that. It’s being there at the beginning with a business owner, applying our global experience to their company, being a part of their growth process and still being there with them, months or even years later.